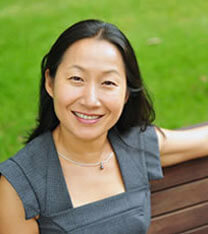 Grace Chu is the CEO at Performics Australia, formerly known as FirstClick Consulting which she founded in 2005 and built into Australia’s leading specialist performance marketing agency. Grace is passionate about taking performance based marketing to new levels and deeply believes the key to achieving this is bringing together a team of intelligent and motivated individuals with an unwavering focus on delivering exceptional business results to clients. Grace has over 20 years industry experience in digital and offline marketing, management consulting and people management. Before setting up FirstClick in 2005, Grace was employed in senior roles with eBay Australia, where she led internet marketing and seller marketing aimed at buyer and seller acquisition, activation and retention. Prior to this Grace was a management consultant with McKinsey & Company where she worked with multi-national clients to develop and implement strategies spanning sales, marketing and operational improvement. Grace earned her MBA degree from the Wharton School in Philadelphia and her Bachelor of Business Administration from the National Taiwan University.